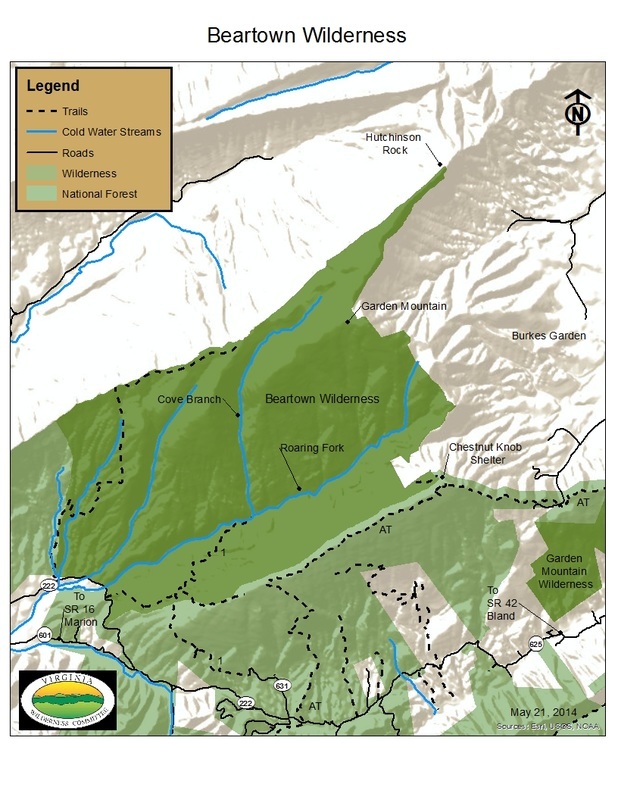 Beartown Wilderness is in eastern Tazewell County. Established in 1984, this 5609 acre treasure is not only one of the most remote locations in Virginia, it is also, without a doubt, unique in all of Virginia. 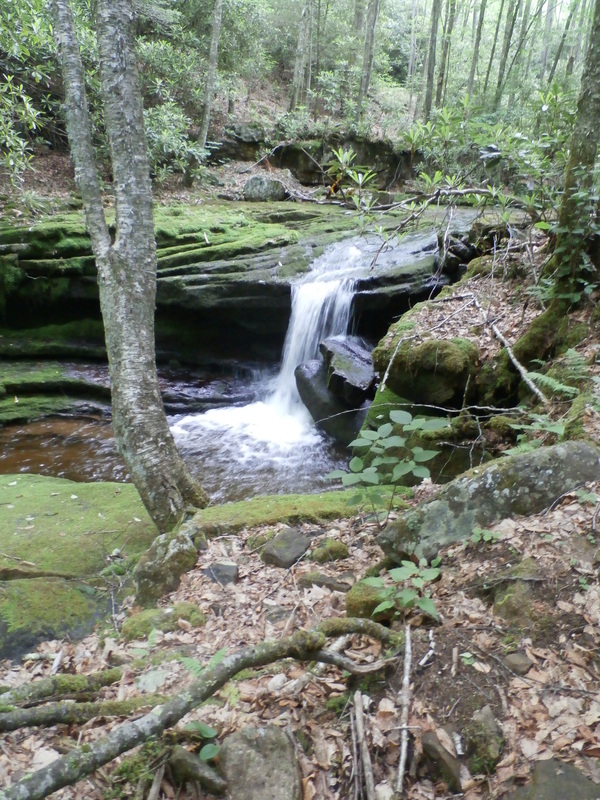 Beartown Wilderness is home to fast flowing streams, significant stands of rare old-growth communities, outstanding views, and a sphagnum bog. Roaring Branch begins on the southern rim of Burkes Garden. The Garden is a high sheltered cove completely surrounded by Garden Mountain. Beartown Mountain, at 4680 feet, is the highest point on Garden Mountain and in the Beartown Wilderness. On the summit is a wonderful meadow surrounded by a stand of slow growing Red Spruce. There are also several other peaks that soar above the 4000 foot level. Clinch Mountain climbs to 4600 feet. Hutchinson Rock near the extreme northwest point of Garden Mountain stands at 4450 feet. 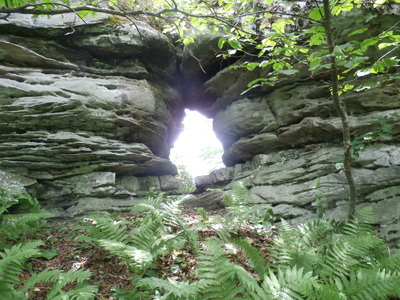 Not too far from Hutchinson Rock is the hole-in-the-rock wall. The summit of Chestnut Ridge (4400 feet) is just outside the wilderness boundary. There is a stone AT shelter located in the meadow. The view from the hut is nothing short of amazing. The flora of Beartown Wilderness is spectacular. Near the southern boundary there is oak-hickory forest, so common in the mountains of Virginia. However, at higher elevations, the forest changes to northern hardwoods and spruce. On the ridge leading to the summit of Garden Mountain are significant stands old growth including Yellow Birch in all sort of twisted, gnarled forms. Many of these trees possess unique root structures with tendrils seemingly support the trunk in the air. This phenomenon is the result of birch seeds germinating on a decaying log that then rots away to leave the aerial birch. The Red Spruce is also making a comeback on Garden Mountain. Thickets of young Red Spruce are a common sight on the ridge crest. Frazier Magnolia is found in scattered pockets along Roaring Fork. 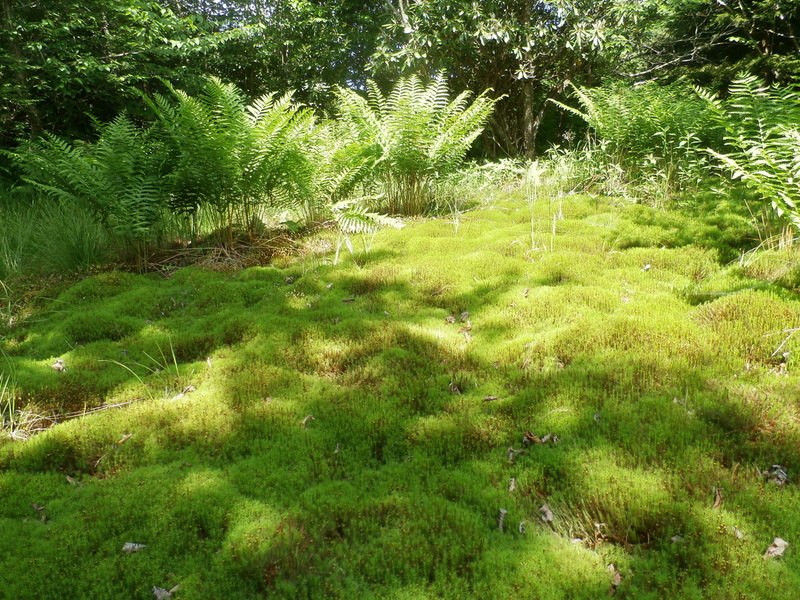 Then there is the bog. The bog lies between the summits of two high ridges. Protected by near impenetrable stands of Rhododendron and thickets of cranberry and hazel a journey into the bog is nearly impossible. This protected cove harbors a multitude of rare species. ​There is only one trail in Beartown Wilderness. However, the Appalachian Trail follows along the southeastern boundary of the wilderness through the meadows located on the crest of Chestnut Ridge.